If Guy Sebastian is serious about cracking the lucrative US market, we reckon it’s ‘Battle Scars’ that he’s going to be able to do it with. International sound, guest high profile US rapper and a clip shot in New York – all pointers that Guy’s more than ready, willing and able to give it his best shot. 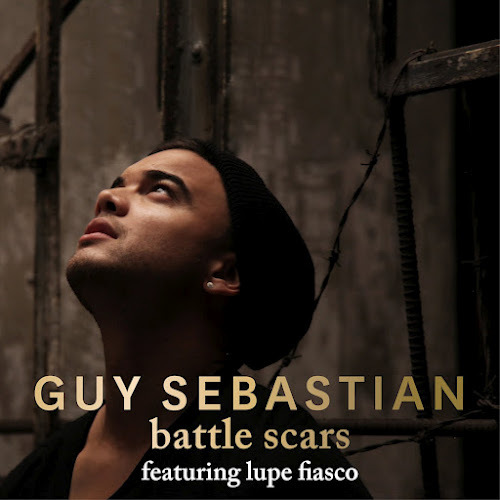 While we’d like a little less of Lupe on the single version, on the video, it makes a lot more sense, as we follow a group of individuals who are all battle scarred by one trauma or another. It’s slick, it’s polished and given it’s already top ten on iTunes after being released earlier today, it seems it’s already resonating with the local audience. Bruno Mars kinda has Guy’s market covered in the US at the moment. Its a polished effort however.